The Greater Toronto Area’s thriving condo market is primarily being driven by wealth and lifestyle factors. 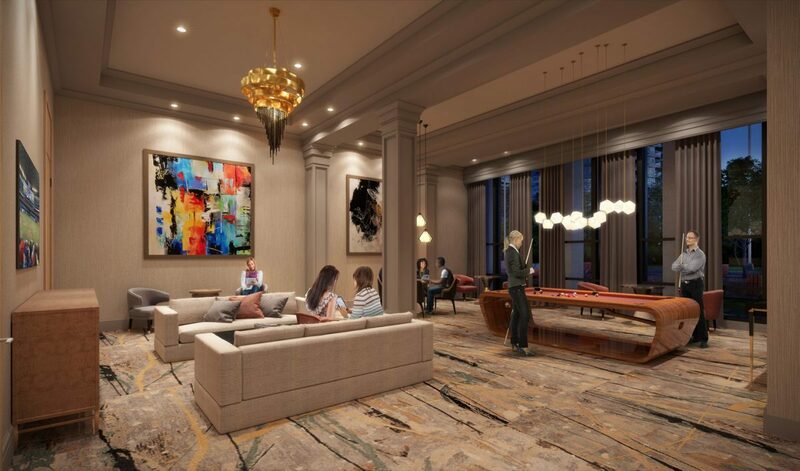 Savvy GTA buyers have realized by investing just 15 percent as a deposit on a new pre-sale condominium, they can leverage the entire value of the condominium and earn a return on 100 percent of its value, without having to carry the property or have to deal with tenants. New condos have typically earned purchasers $100,000 to $250,000 in a relatively short period, from initial deposit to when the condo is ready for occupancy. Even those who plan to live in their condo are building personal wealth and potentially, retirement financial security. People are also purchasing new condos to enhance the quality of their lifestyle. End-user and investor buyers share similar wish-lists. They want a great location and superb architecture and design; proximity to transit and highways, desirable shops and trendy eateries; an experienced developer with a reputation for quality; superior finishes; a full complement of upscale amenities; and efficient, well-designed floor plans. Despite their desire for these desirable attributes, purchasers also want value. With downtown Toronto suites priced from $1,000 to $1,400 per square foot, smart buyers are looking to other locations that offer many of the same advantages without the high price rag. While new low-rise home buyers are opting to find more affordable homes in places such as Milton, Bradford, and Caledon, condo buyers’ preference is for locations where they can enjoy more affordable prices as well as a satisfying lifestyle and the convenience of public transit and proximity to highways. Downtown Mississauga is becoming the location of choice for many discriminating buyers. It’s a comfortable commute by car or by public transit to downtown Toronto, though there’s no need to leave Mississauga to find all the pleasures of a sophisticated urban lifestyle. A prime example is Solmar Developments’ Edge Towers at 24 Elm Drive West in the heart of downtown Mississauga, within a short walk of extensive amenities including the Mississauga Civic Centre, Celebration Square, the Living Arts Centre, the Central Library, a Sheridan College campus, YMCA Centre, Playdium and Cineplex Cinemas. Davie’s firm is handling sales for Edge Towers. The landmark development is steps from a new LRT that will be part of 20 kilometres of dedicated rapid transit between the Port Credit GO station in Mississauga to the Gateway Terminal at Steeles Ave. in Brampton. It is within minutes of major highways including the QEW, 401 and 403. The Mississauga Bus Terminal is a seven-minute walk away at Square One, the largest shopping centre in Ontario with world-class retailers including Holt Renfrew, Armani, Harry Rosen, and Rolex. Close by are hot spots such as Whole Foods Market, Bier Market, Earl’s, and Starbucks. Surrounded by restaurants, stores and services, Edge Towers caters to a live, work, and play lifestyle. 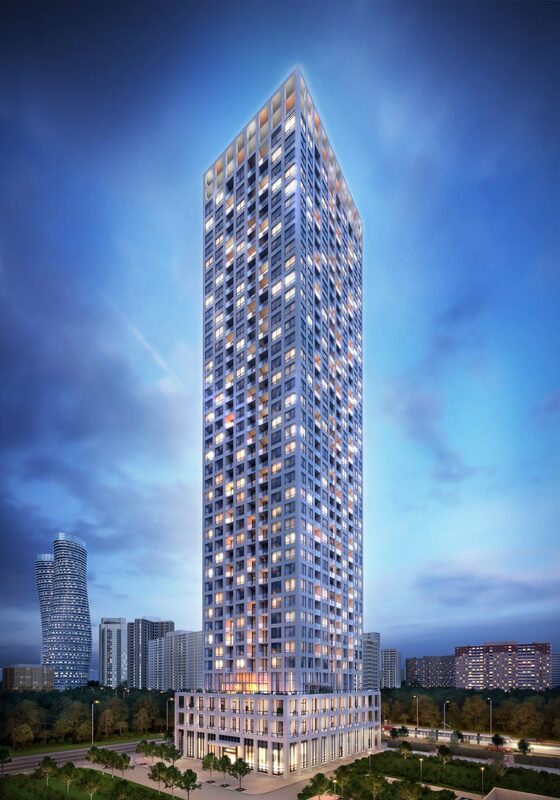 The first 35-storey tower was well received by buyers and Edge Tower 2 is now selling at the VIP broker stage, says Davie. 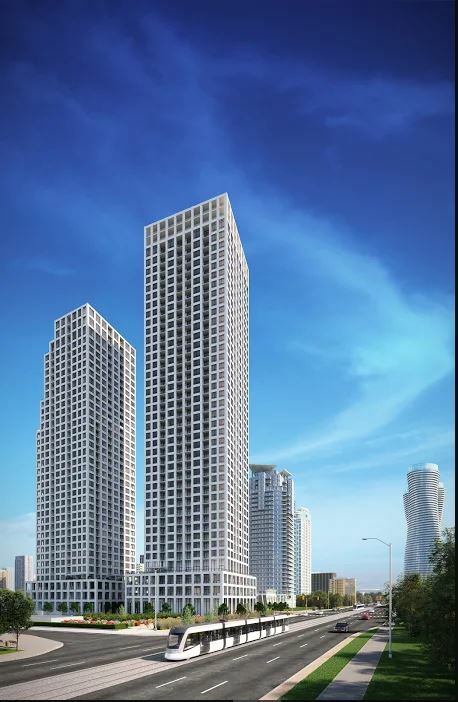 Edge Towers have been designed by renowned architect Roy Varacalli of Cusimano Architects. 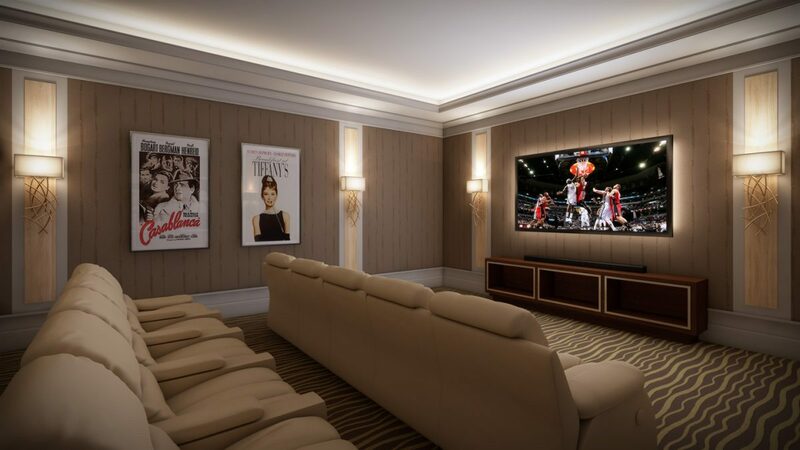 Suites have been designed to maximize efficiency of space and include standard features such as 9-foot ceilings, premium wide-plank laminate flooring, frameless glass shower doors, upgraded baseboards, and kitchens with quality cabinetry, under-valance lighting, quartz countertops, and high-grade appliances. Dochia Interior Design is the designer. Solmar has recognized the changing market and realizes buyers want affordability along with quality. 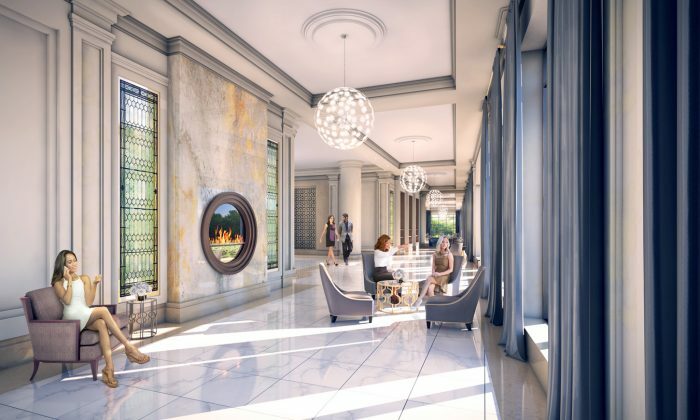 Tower 2 will have efficient floor plans, 492 to 721 square feet, in one bedroom, one bedroom plus den and two bedroom layouts, starting from the $300,000s. Edge Tower 2 has separate amenities from the first tower, including 24-hour concierge, guest suites, Wi-Fi lounge, fitness centre, media room, games room, terrace with fire features and barbecues. Solmar is a well-established builder with more than 30 years’ experience, known for its quality of construction and finishes. Its projects are distinguished by elegant interior designs and attention to details. To register for Edge Tower 2, click on http://solmar.ca/mississauga-condo.php. Tracy Hanes is a GTA freelance writer who specializes in real estate.